Kristen D. Burton – Page 2 – Kristen D. Burton, Ph.D.
Ph.D. in Transatlantic History from the University of Texas at Arlington (2015). 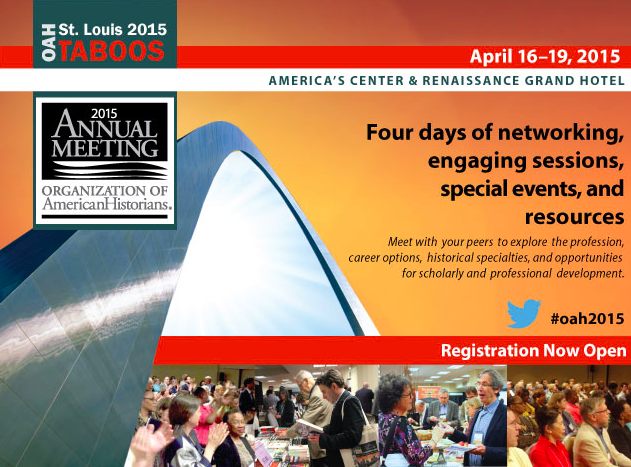 Alcohol historian, researcher, writer, instructor, storyteller. After a little over one year of being online, I felt it was time to give this page a new look. It offered a nice, quick break from a summer full of writing, planning PhD career workshops for the fall, and class prep. Let me know what you think of the new layout, and best wishes for the remainder of the summer! 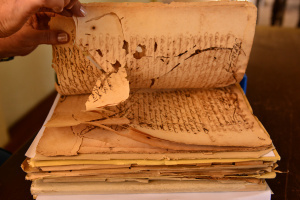 This is a nice story on Assistant Professor David LaFevor’s work with digitizing manuscripts in Cuba. A UT Arlington history researcher will spend part of his summer in Cuba, rummaging through dusty church vaults in search of records for millions of Africans forced into the Caribbean region more than 400 years ago. Assistant Professor David LaFevor (History) is spending three weeks in Cuba and the surrounding area as part of a grant (up to 10,000 pounds or $15,500) from the British Library. He will identify, digitize and catalog documents as part of the Endangered Archives Programme, a project that includes graduate students and professors from universities across the globe. 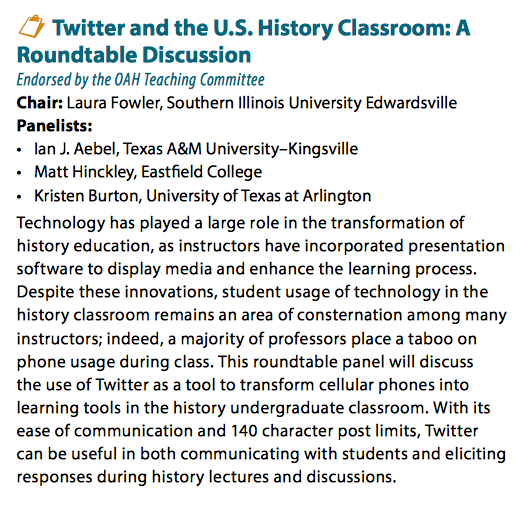 Today, I am presenting at UTA on how historians and other scholars use Twitter to share resources, connect at conferences, and engage in discourse. I am also covering how I have used Twitter as an assignment in the classroom. Below is a list of resources connected to these topics. Again, I will post a followup with more details on how I use Twitter in and out of the classroom, but in the meantime feel free to check out these links. Maybe consider setting up a new account, if you don’t have one already! 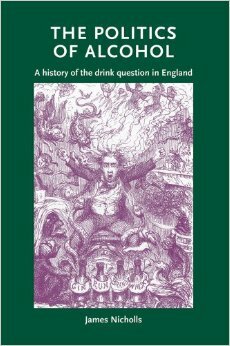 This evening, my Alcohol in the Atlantic World class held a Q&A with James Nicholls, author of The Politics of Alcohol. Dr. Nicholls generously agreed to stay up to midnight (GMT) to chat with my class. This was a new experience for many in the class, myself included, but it ended up being both entertaining and insightful. 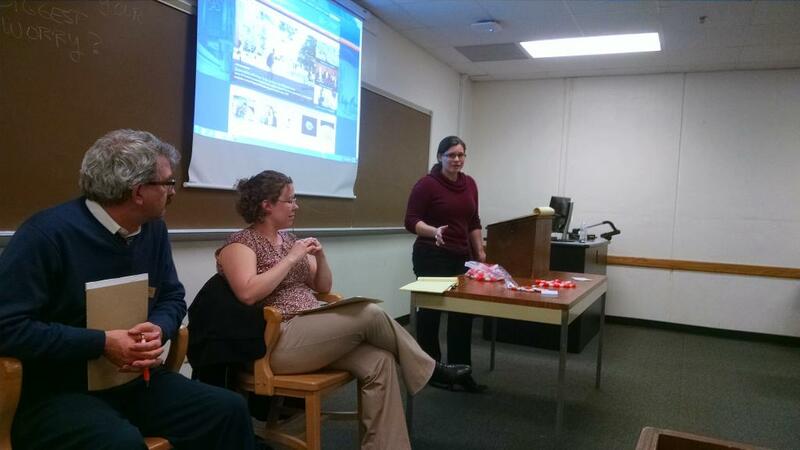 You can follow the conversation via Storify HERE. “The global,” Beckert stated, “cannot be understood without the local.” This emphasis placed on connections not only revealed the significance of specific regions to a worldwide industry, but it also unveiled the necessity of moving beyond restrictive timeframes. Beckert explained in the presentation how the events of the eighteenth century cannot be separated from what happened in the nineteenth century, or the world we live in today. Broad timeframes and a global perspective help reveal the complex connections that continue to shape modern behaviors, living conditions, and ideologies. Take a look at UTA PhD student, Robert B. Caldwell’s forthcoming book! 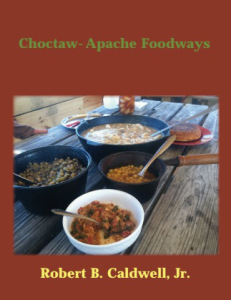 Choctaw-Apache Foodways explores the rich and complex food history and culture of the Choctaw-Apache Community of Ebarb in western Louisiana. The book is published by Stephen F. Austin State University Press and will be distributed by Texas A&M Press/ Texas Book Consortium. It will be available in 2015.